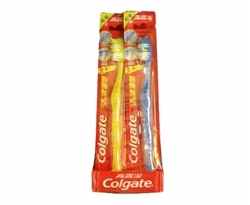 Colgate Triple Action Toothbrush. There are 12 toothbrushes in assorted colors per display. Hang-able for retail.